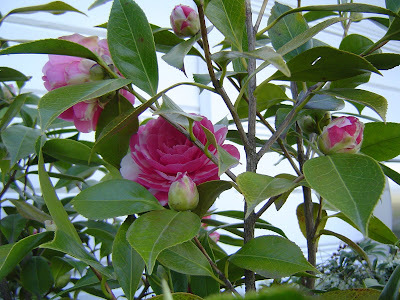 Our Camellia was also here when we bought the house, I have no idea what variety it is. It has a random white fleck on an otherwise pink flower, another one of those qualities that at first annoyed me, but I have grown to adore. 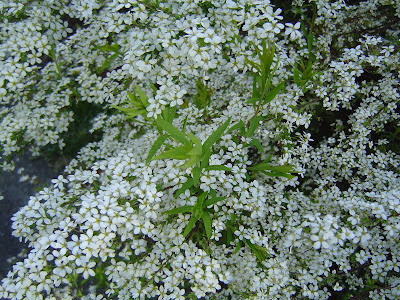 I need to take the time to prune the bush though as it is rather unshapely. 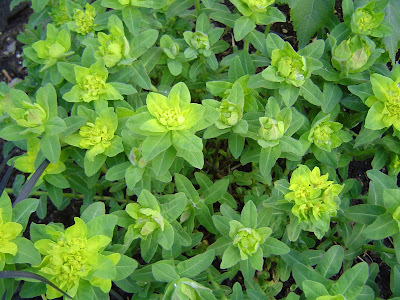 And of course the Hellebores are still going strong, and looking about the same so no new pictures of them. 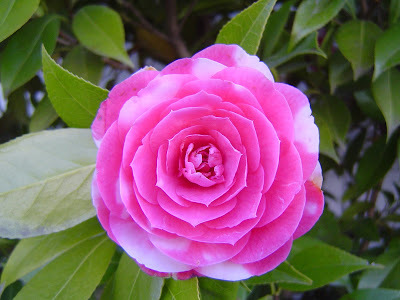 Wanna see more of what's blooming out there? 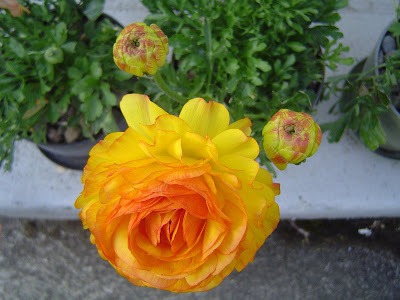 Visit the blog that started this crazy thing called Bloom Day. 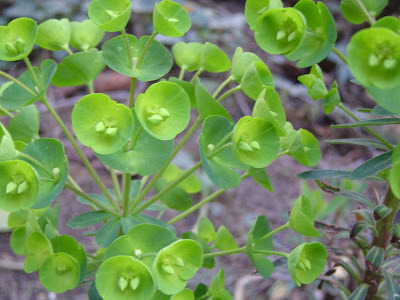 Wow, you have some great euphorbias that I've never seen. I'd like to try some of those if I only had enough sun. Maybe I can squeeze a few in. Gail, thanks for the welcome! I took a quick look at your blog (more later when I have time). I have in-laws in Tennessee, I'll have to turn them on to Clay and Limestone! 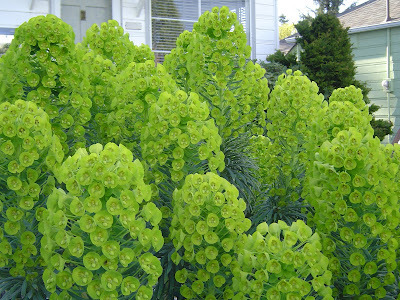 Euphorbia are the best! 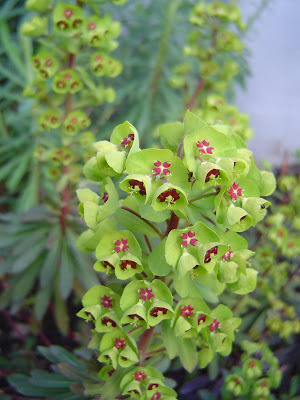 Pam...the Euphorbia amygdaloides var. Robbiae is in almost complete shade and very happy, although it is a bit of a spreader, easy to pull up the runners though. 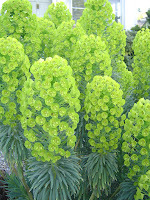 So is another Euphorbia characias ssp. 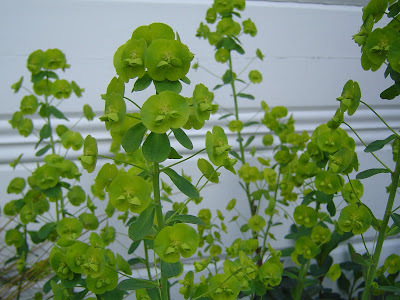 wulfenii that I didn't photograph, it's a little leggy but still puts on nice blooms! 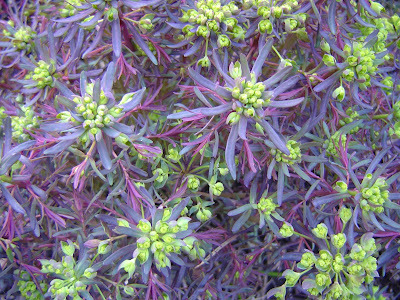 You'll want to contain that baby, as it will take over your garden. 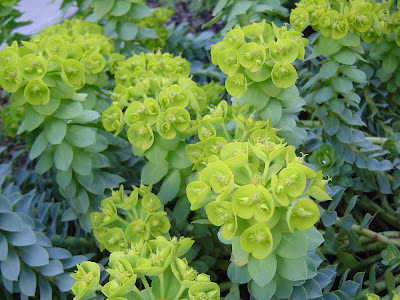 Don't you love the Euphorbias? 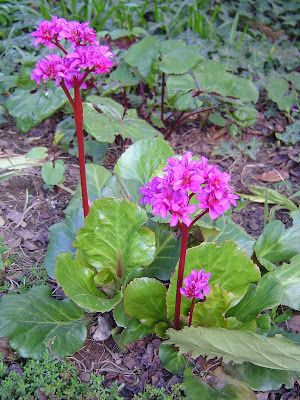 My favorite has got to be E. stygiana. 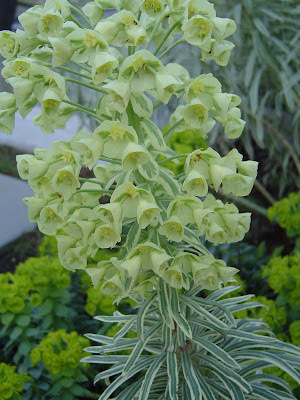 It can reach 6 feet, and has honey-scented blooms!